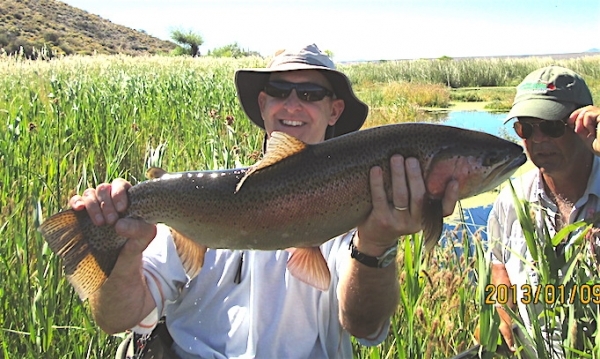 You won't find a team of guides with more years experience than those at Esquel Outfitters! All are kind, thoughtful, hard working guides that know the water they fish intimately. Deigo left, Jorge with trout & Marcos right are the deam team! 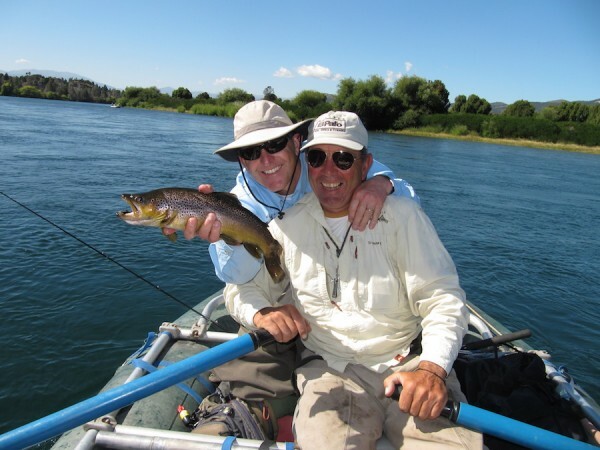 Marcos Yeager, owner & head guide, has been guiding around the Los Alerces and Esquel region of Argentina since 1990. He will have you laughing, catching lots of trout, and at the same time making sure you are well taken care of on & off the river. Macos is always working and taking care of problems before they happen. Making sure all the boats are in good working order, the vehciles fueled up, the coolers packed with everything we need, etc. HE KNOWS WHAT HE IS DOING! Jorge Gonzalez, head guide, has been working for Esquel Outfitters since 2005. Lets just say he sets the bar very high for anyone in the business of guiding. As many have said, "He is the best!" He is one of few that has his own Mackensie style drift boat. Deigo Ravi, has been working with Marcos since 2010 and has over 20 years experience guiding on all the rivers we fish. His primary concern is that you are catching trout and having a good time. He will put you on fish and make you laugh at the same time. Ivo Jarek, has also been working with Marcos for over 15 years and he knows the rivers & lakes extremely well. He is kind, funny, and knowledgable and just great to be around. Ivo runs the supply rafts on the Chubut and is the camp and lodge chef. He is also a great guide who knows where the big ones live! 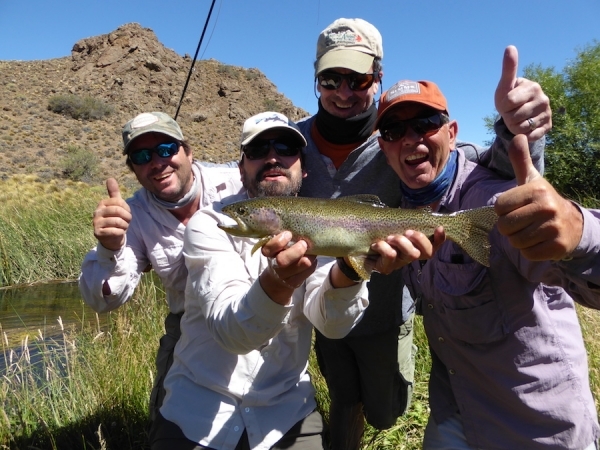 The photo below is the largest rainbow I have ever caught in Patagonia and Ivo put me on him!! !